Square Capital is a small business working capital loan that is repaid with a percentage of daily credit card sales processed through Square. Square Capital loans are used by businesses that need quick working capital financing and process sales through Square. Square Capital alternatives include business lines of credit, short-term loans, and invoice financing. Square Capital Businesses processing credit card payments with Square that need financing up to $100K. Fundbox Businesses wanting a line of credit up to $100K with no minimum credit score requirement. OnDeck Prime borrowers (700+ credit score) needing term loans up to $500K from 3-36 months. BlueVine Businesses that want quick invoice financing up to $5,000,000. Kabbage Businesses needing a line of credit up to $250K they can access again and again. LoanBuilder Businesses needing loans up to $500K with payments over 13 to 52 weeks. 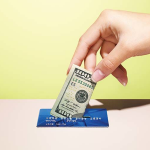 National Funding Borrowers with poor credit who process credit card transactions needing up to $250K. Square’s working capital loan is similar to a merchant cash advance (MCA) in that they both offer capital in exchange for a percentage of credit card sales to pay off the loan, but Square Capital is specifically available if you use a Square POS system. Both options have an easy application process, base your financing amounts on historical sales performance, and make funds available in as little as one business day. If you don’t use Square, need a greater amount of funding, or require weekly or monthly payment terms, it makes sense to consider an alternative. With Square Capital, your loan offer and approval is based on your historical Square sales. There is no loan application and Square Capital will contact you via email and dashboard if you qualify for a loan. If you borrow $100,000 at 1.1x, you will get a lump sum of $100,000 deposited into your account, and then you will have to repay a total amount of $110,000. The loan payments are made daily directly from your Square sales. With a Square loan, your repayment terms will vary based on the credit card sales you process through Square each day. Typically, your APR for the loan will fall between 30% and 35%. The daily payments from transactions will be between 8% and 15% of receipts processed through Square. Your APR is variable because repayments are based on a percentage of your daily credit card receipts. Is Square Capital right for you? Take our quiz. This two-minute quiz will show you which financing options may be best for you. Square Capital is right for small businesses that use Square to process their sales and who need a short-term working capital solution up to $100,000. You might choose Square over an alternative financing option if you do not want a hard credit check on your personal credit or if you just need a fast business loan. Square Capital charges a factor rate. The factor rate ranges from 10% to 16% of the principal. The factor rate is added to the principal to determine total repayment. For example, if you borrow $100,000 from Square, you can expect to repay fees of about $10,000 to $16,000, or a total repayment of $110,000 to $116,000. Businesses that use Square POS can borrow between $500 and $100,000, and can use the loan for any working capital need. Your loan—including fees—must be paid back in full within 18 months. Payments will be taken daily as a percentage (8% to 15%) of your total Square sales and are automatically deducted for you during processing. Every 60 days, you must pay a minimum of 1/18 of your total loan balance. Using our $100,000 example above, each day a set percentage between 8% and 15% is automatically deducted from your daily Square sales until the entire $110,000 is paid in full. You are required to pay a minimum of 1/18th of your loan balance every 60 days, or $6,111.11 on a $100,000 loan. At the end of 18 months, if you have not paid off your loan, the remaining balance is due. Square History: Square will look for sales trends and how your business might grow in the future. Square Activity Level: The number and frequency of your payments matters. If you’re an active Square seller who gets payments every week, then you’ll be in a good position to qualify. Customer Mix: Are you getting customers to come back for multiple purchases? If you’re diverse in both new and returning customers, it gives Square a comfort level that you’re growing in both directions. Overall Growth: If you’re growing at a healthy rate, then your approved loan size will typically reflect that. The more you’re growing, and the faster you’re growing, the larger your approved loan amount will be. Square Capital approval will depend on your particular transaction history and activity level, as well as your business, customer mix, and growth. If you are among the top candidates, you will be offered a Square Capital loan through your dashboard. You will be notified about your approval via the Square dashboard and your email, with funds available as soon as the next day. The Square Capital loans working capital solution is very similar to PayPal Working Capital, which is for businesses that use PayPal to process their customer payments. Square merchant services is typically a better solution for brick-and-mortar businesses since PayPal processes mostly online transactions. The way they work is almost identical in regards to both getting funded and repaying the loan. Square Capital periodically reviews your business qualifications to determine if you are eligible for a loan renewal. Depending on your transaction history, you may be offered an additional loan by Square Capital before you finish repaying the first one. In some cases, you may receive a better offer on subsequent loans, but this isn’t guaranteed. Square Capital Loans are a great option for businesses processing sales primarily with Square. However, most businesses that don’t use Square to process payments will not be able to receive a loan. Additionally, the cost of a Square Capital loan is the same whether or not it is repaid early by the borrower. We compiled Square Capital reviews from our own website and around the web. In so doing, we determined the reviews are a mix of positive and negative ratings. Positive reviews were impressed with its lenient loan requirements. Critical reviews were concerned with the lack of customer support. Read more on our Square Capital Reviews page. Since your loan is based on your Square sales, there is no initial application and no credit check required. Square Capital will initiate a loan offer via email or dashboard if you qualify, and ask you to fill out some more details about your business. Then you can receive an offer for up to $100,000, with a starting 1.1x fee for up to 18 months and get funded the next day. Square Capital loans are available to businesses that process transactions through a Square POS system and are repaid from daily credit card settlements. If your business does not use Square, needs a larger amount of financing, or different repayment terms, you should consider alternatives to Square Capital. Fundbox offers a small business line of credit based on the value of outstanding invoices. There is no minimum credit score allowing most businesses to qualify, loan values of up to $100,000 are comparable to Square Capital, and there is a short repayment period. This makes Fundbox the best alternative to Square Capital for short-term capital. Both Square Capital and Fundbox offer great working capital financing options up to $100,000. Fundbox requires weekly payments compared to Square Capital’s daily payments, and you must fully pay back your Fundbox financing within 12 to 24 weeks. Both options are a good choice if you do not want to impact your personal credit score. Square Capital bases your loan amount on historical sales while Fundbox offers their line of credit amounts based on the value of your invoices. The amount you repay with Square Capital is fixed regardless of whether or not it is paid early. Fundbox, however, charges a weekly fee, and if the loan is repaid early you will not be charged. Fundbox charges a weekly fee known as the discount rate. In addition to repaying a portion of the principal weekly, you will also have to pay this fee, starting at 4.66% (12 weeks) and 8.99% (24 weeks) of the advanced invoice amount. You get to choose either 12 or 24 weeks for your repayment terms. A major advantage of Fundbox is the opportunity to save money with early repayment. With fees charged per week, this could mean a large amount of savings for your business. In terms of minimum qualifications, Fundbox is available to almost any business that has been in operation for six or more months. This opens the door for many small businesses that may have poor credit, be less established, or operate on a smaller scale. There is no minimum personal credit score requirement by Fundbox, although it is checked because the loan is backed by the value of a company’s account receivables. However, Fundbox requires businesses to have at least six months of operations, invoices to B2B, B2G, and/or B2C customers, and for all invoices to be due in 90 days or less to qualify. You can read our guide on the best accounts receivable financing companies for more information. Fundbox’s main downside is that it is only able to finance up to $100,000. This might be plenty of capacity for many small businesses, but others will need more. Plus, you will be required to make weekly payments, which could be difficult if you have a cyclical business cash flow. We determined Fundbox generally has positive ratings. Positive Fundbox reviews came from users who said the company’s helpful customer service team made the process easy. Critical Fundbox reviews came from users who wished they could change the repayment terms to longer periods. Read more on our Fundbox reviews page! Fundbox can you get you financed for up to $100,000 based on your outstanding customer invoices. Fees start at 4.66% and 8.99% of the total draw for 12 or 24 weeks, respectively. The application process can be completed within minutes and you can get funded in as quickly as one day. OnDeck Capital loans are best for prime borrowers (700+ personal credit score) who can benefit from the lowest interest rates. It offers businesses that need a fixed repayment schedule a loan with rates as low as 9% for up to $500,000. OnDeck also offers a $100,000 line of credit for additional flexibility. OnDeck term loans are very similar to standard small business loans that have fixed amortized payments, unlike Square Capital. The line of credit offered by OnDeck is best compared to a business credit card, where you are only responsible for interest and repayment of an outstanding balance. On the other hand, Square Capital is better compared to a merchant cash advance. Payments are not fixed and instead come from a percentage of Square revenue. The loan amounts offered by Square Capital are not based on creditworthiness, but rather on the annual Square earnings. The costs of an OnDeck capital loan are comparable to other Square Capital alternatives we evaluated. However, they have one of the highest loan limits (at $500,000) and offer a longer loan term (up to 36 months), providing a much needed long-term capital solution. It takes about 10 minutes to complete OnDeck’s online application, with approval in hours. Initial funding can happen as soon as the next day and ongoing funding within 24 hours. Unlike Square Capital, OnDeck uses a business owner’s personal credit score as part of the application process. The minimum credit score of 600 for qualification for OnDeck’s term loan is relatively low compared to other medium-term loan providers and the line of credit offered by them. The 600+ personal credit score required for their line of credit compares favorably to those on our list and other small business LOC providers. In addition to the term loan, OnDeck also offers a line of credit that you can qualify for. Although the limit is lower at $100,000, it offers additional flexibility if you don’t know exactly what your financing needs are or need smaller loans to cover gaps in your cash flow. Just like Square Capital, there are no prepayment penalties with OnDeck, but you do not benefit from paying off your loan early. OnDeck also doesn’t offer the same hassle-free repayment method by deducting directly from your credit card transactions. Instead, you will have to make payments directly at regular intervals. We determined OnDeck generally has positive ratings. Users who gave positive OnDeck Capital reviews said its professional and friendly customer service made the loan process quick and easy. Users who gave critical OnDeck Capital reviews said its fees were costly compared to other similar companies. Read more on our OnDeck reviews page! Pre-qualifying online with OnDeck Capital takes 10 minutes. You can qualify for a term loan up to $500,000 or a line of credit up to $100,000 for up to three years or six months, respectively. After you connect your business checking to verify revenues, approval typically follows within hours. BlueVine offers invoice factoring up to $5 million, making it best for businesses that invoice their customers. If you have outstanding invoices that are due in less than 90 days or are struggling to collect invoices and need working capital, BlueVine will purchase the invoices and collect on your behalf. BlueVine also offers a $250,000 line of credit, and you could get both loans. BlueVine financing options differ greatly from those offered by Square Capital. BlueVine purchases your outstanding invoices for a discount (85% to 90%) and collects money directly from your customers. This means that unlike Square Capital, you must already have outstanding invoices and you must assign your customer relationships to BlueVine. In addition to invoice factoring, BlueVine offers a line of credit to businesses. However, rather than providing a lump sum cash payment, BlueVine gives you access to capital on demand. In this arrangement, each draw on the credit line is considered its own loan with its own repayment terms. Additionally, your payments are made directly to BlueVine rather than being deducted from your transactions. BlueVine does not charge any origination fees for invoice factoring. However, depending on when invoices are repaid by your customers, you will be charged 0.25% per week on the outstanding balances. This charge is directly deducted from the remainder of the repayment you receive when invoices are paid back. BlueVine requires that loan amounts start at $5,000, which can be a hurdle for smaller businesses. This would require that invoices outstanding for the next 90 days exceed this amount in total. However, their maximum loan limit of $5 million is the highest that we evaluated. Qualifying for BlueVine invoice factoring is more difficult than Square Capital based on credit score. However, compared to Square Capital alternatives, qualification can be much easier because your loan is based on the value of your outstanding invoices. This means that the credit rating of your customers will actually matter more when qualifying for BlueVine. In addition to invoice factoring, BlueVine also offers a line of credit that you can qualify for. Unlike other lines of credit, BlueVine gives you the flexibility to pay on a weekly or monthly basis. However, their qualification requirements are more difficult to meet. When applying for a BlueVine loan, you will also be prompted to connect BlueVine to your business bank account or provide your three most recent bank statements to complete the application. In addition to that, your business needs to be operational for at least six months, making this a great option for newer businesses. While BlueVine offers great funding options, you need at least a 530 personal credit score to qualify for invoice factoring and 600+ credit score to qualify for its line of credit. Some of the other providers offer a lower threshold or do not require a personal credit check at all, such as Fundbox. You can apply to BlueVine via its online application in just 10 minutes. When approved, you can get funded as soon as the next day for invoice factoring up to $5 million with an 85% to 90% advance rate or a line of credit of up to $250,000 at a starting rate of 4.8%. Kabbage is best for businesses needing a line of credit up to $250,000 with monthly payments. A line of credit from Kabbage offers businesses higher limits than Square Capital at rates starting at 1.5% per month on the funds you use. This is valuable if your funding needs vary over time. With Kabbage, you can draw on your credit at any time, rather than receiving the entire loan upfront like with Square Capital. When qualifying, Kabbage checks your personal credit score (with a minimum requirement of 550). Kabbage also offers six- to twelve-month repayment terms with manual payments rather than automatic deductions like Square Capital. With each draw considered an independent six- to twelve-month loan, Kabbage offers borrowers a great deal of flexibility in how much and when they borrow funds. When applying online for a Kabbage line of credit, you can get approved in just 10 minutes for up to $250,000. Once approved, you can draw on the line of credit, with each draw representing a new loan. Qualifying for a Kabbage line of credit can be more difficult than Square Capital or alternatives like Fundbox due to the higher personal credit score (550+) and time in business (one+ years) requirements. If the minimum credit score is preventing you from getting the financing, you should consider a bad credit business loan. The longest term offered by Kabbage is only 12 months, whereas with Square Capital, you can get up to 18 months to repay. Also, while low, Kabbage has a minimum credit score requirement, which neither Square Capital nor Fundbox requires to qualify for a loan. Kabbage has mostly positive ratings. Users who gave positive reviews said its customer service provided clear explanations. Although some Kabbage reviews complained about high interest rates and short repayment terms, its rates and terms are disclosed upfront. Read more on our Kabbage reviews page! It takes about 10 minutes to complete Kabbage’s online application, with up to $250,000 available in a line of credit, at a rate of 1.5% to 10% per month, and the flexibility to borrow up to your approved limit. You can receive funding 24 hours after applying and receiving approval. LoanBuilder is great for businesses needing a larger loan up to $500,000. Most of the others, including Square Capital, offer much smaller loans. With LoanBuilder, you can choose the loan amount you need and the term (13 to 52 weeks), for which you will receive a rate from 2.9% to 18.72%. Businesses that need a greater amount of capital and understand their funding needs in detail can benefit greatly from Loan Builder. With the flexibility to determine the repayment term and the loan amount, a business can tailor its loan product to their specific needs, and avoid paying for anything that they do not need. A LoanBuilder loan can be as large as $500,000, which is significantly greater than the Square Capital $100,000 limit. Additionally, unlike Square loans (which are repaid automatically through credit card deductions and may cause variability in repayment), LoanBuilder requires weekly payments to be made, resulting in a greater degree of predictability. LoanBuilder has single fixed fee loan pricing that can be determined for your business specifically. With LoanBuilder, you do not benefit from paying early, because your total interest charge is determined at the time your loan is originated based on your repayment terms. Perhaps the largest advantage of LoanBuilder over other Square Capital alternatives is the great amount of repayment flexibility available to the borrower. By selecting the repayment term, the borrower is not only able to control costs and borrow for a different project, but also select a payment amount that is sustainable for the business. With a nine-month active time in business and a credit score of 550+, qualifying for LoanBuilder falls in between the other Square Capital alternatives we reviewed. The minimum gross revenue requirement ($42,000/year) is easier to meet than Square Capital’s ($10,000/month). However, this requirement will vary with loan terms and amounts. In addition to the above factors, your business must not have filed for bankruptcy, needs to be located in the 50 United States, and have an active business record with your local Secretary of State. Similar to Square Capital and OnDeck, early repayment does not provide you with any cost savings. This is because the total interest you are responsible for paying is calculated at origination. Additionally, you will need to meet minimum credit score requirements to qualify for LoanBuilder, which is not required with Square Capital. We compiled LoanBuilder user reviews from around the web. In so doing, we determined LoanBuilder generally has positive ratings. Customers who provided positive LoanBuilder reviews said its process was quick and efficient. Customers who provided negative LoanBuilder reviews said its pricing was too expensive. Read more on our LoanBuilder reviews page! National Funding‘s merchant cash advance (MCA) working capital loan up to $250,000 is a good solution for businesses with poor credit that accept credit cards. Keep in mind that an MCA can be expensive and should be used as a last resort. National Funding also offers loans and equipment financing that you may qualify for. Square loans are similar to the National Funding merchant cash advance in that they are repaid out of credit card transactions. Square Capital has a loan limit of $100,000 and makes deductions from Square transactions, whereas National Funding allows offers up to $250,000 and makes automatic deductions from all credit card transactions. National Funding merchant cash advances are designed for high-risk borrowers who are unable to get access to credit anywhere else. This is offset by the high factor rate charged by National Funding. To get a rate for your business, you need to contact them directly for a customized quote. In the case of National Funding merchant cash advances, there is a great deal of variability in the specific terms received by businesses. This is due in large part to the different needs of businesses that are not in strong shape financially. Qualifying for National Funding is not very restrictive, requiring no credit score and one year of being operational. You will have to demonstrate your credit card receipts in order to establish your ability to repay the loan. The easiest loan to qualify for with National Funding if you have poor credit is their merchant cash advance. However, they also offer small business loans up to $500,000 and equipment financing up to $150,000 with lower costs than their MCA. As your credit improves, you can qualify for these less expensive options. National Funding also requires that your time in business for their small loan be at least one year, and at least six months for equipment financing. You can expect similar collateral and guarantee requirements, with lower interest available on equipment financing due to the equipment acting as collateral. A National Funding merchant cash advance provides a financing option for businesses with poor credit that have been operational for at least a year, unlike providers like Square with no minimum. This means National Funding is only an option for more established businesses. An MCA is also a very expensive option due to the higher rates. It can still be a good option if you can’t qualify for other financing. Once you have improved your personal credit score, you can apply for a small business working capital loan up to $500,000. Since merchant cash advances come at a high cost and can create a potential cash flow strain, they are only recommended if your other options are exhausted. With National Funding, you can apply online and receive the same or next day approval for up to $250,000. 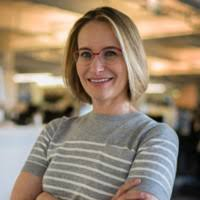 Based on information from a Square Capital and the SBA, Square has noted success in improving the access to capital for women and minority-owned businesses. 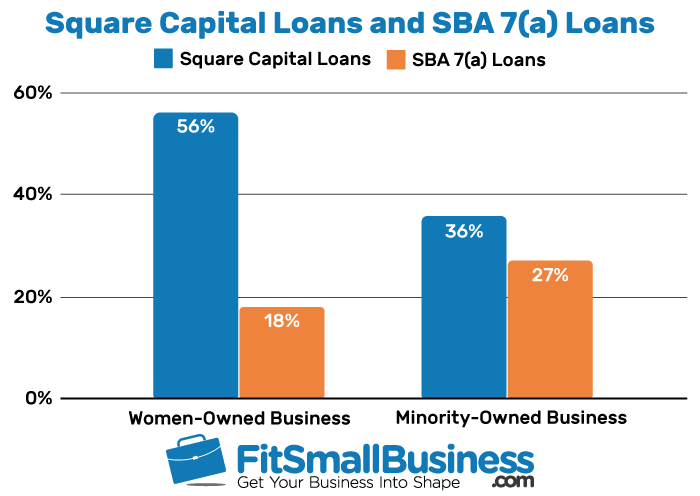 Per SBA 7(a) lending statistics for major programs as of July 2018, women-owned businesses account for 18% of the total number of loans issued. This is compared to 56% of Square loans, per a Square Capital survey from April 2018. Further, according to Square Capital, over 85% of Square users are outside of the biggest 25 cities in the United States. The implication is that small businesses that previously had trouble accessing financing because they are outside of a major metropolitan area now have better access to the funding they need. We have covered Square Capital loans and six comparable alternatives for financing your business. However, these alternatives may not be right for every business and situation. If your business handles most transactions through PayPal, is newly founded, or you are a borrower with prime credit and do not need financing right away, there are better options. PayPal Working Capital: If your business handles most payments through PayPal, you may be able to qualify for a loan with PayPal Working Capital for up to 4% to 5% of your annual sales. If you find that this is insufficient or you are unable to meet minimum requirements, our PayPal Working Capital & Alternatives article can provide some comparable options. Payability: If you’re an ecommerce seller who sells directly on marketplaces like Amazon and Walmart, Payability is a good option. Payability offers financing against future or daily marketplace receivables. For other financing options available to ecommerce sellers, see our Amazon Lending & Alternative Funding Options article. Funding Options for Startups: As a startup, financing is often critical to getting your business up and running. In our article, 12 Best Ways to Fund Your Startup, we cover the full range of financing options that a startup can leverage to get funded. SBA Loans: If you are a prime borrower (680+ personal credit score) and your financing needs are not immediate, it is worth exploring Small Business Administration (SBA) Loans. Our Types of SBA Loans article covers SBA loans for financing debt, working capital, and the purchase of machinery and commercial real estate. When considering a Square Capital loan, it’s important to recognize some of the benefits that they offer as well as some of the risks inherent in the loan. Square Capital loans are easy to qualify for and don’t require an extensive application. However, like any other form of financing, repayment may be difficult during business downturns. Qualifying Is Simple: Square Capital has few qualification requirements because they primarily evaluate your business and transaction performance to determine your qualifications. There’s No Application: There is no application for a Square Capital loan. Instead, you will receive a notification on your dashboard and in your email that you qualify. This means that you don’t have to go through the process of selecting a lender and applying. Repayment Is Automatic: Your payments are made directly from your daily credit card settlements. This means that you don’t have to worry about making a payment and the loan is simply repaid in the process of your business operating, allowing you to focus on running your business. You Can’t Delay Repayment: In the event of a business downturn, payments will continue to be made out of your daily credit card transactions. This could potentially put a strain on your cash flow and ability to pay other obligations. Costs Are Potentially High: The overall cost of a Square Capital loan can be higher than some other options that are available to you. This is due mostly to the lack of prepayment benefits available to you as a borrower. In the case of early repayment, you must still pay back the entire loan balance plus the fee calculated at the beginning. In this article, we have done our best to compare Square Capital loans with alternatives. However, as with any type of financing, some questions are asked more frequently than others, and we have tried to address those here. If we have not answered your question, feel free to share it with us in the Fit Small Business forum and we will provide an answer. How many times can you get a Square Capital loan? There is no maximum number of loans you can qualify for with Square Capital. If your business is growing, you have new and returning customers, and your loan payments are current, you may receive an additional loan offer from Square Capital. Some sellers receive up to five loans, with offers arriving around 70% repayment. What are the most important Square Capital requirements? When evaluating borrowers, Square Capital looks for indicators of a growing business, such as at the number of Square transactions, recent payments, transaction history, activity level, and customer mix. They also check for on-time payments and minimal chargebacks. For more information on avoiding and handling chargebacks, see our guide on accepting credit cards. When does Square Capital offer you a loan? Square Capital does not take loan requests directly at this time. By leveraging its transaction data, it regularly evaluates whether or not your business qualifies for a loan. If your business qualifies, you will receive a loan offer on your Square Dashboard. This offer can be withdrawn at any time, so act fast. Square Capital offers a working capital loan based on the value of your daily credit card sales that are processed through Square. This is a great option for businesses that use Square as the primary way of collecting customer payments. However, there are comparable working capital alternatives that work for businesses. Fundbox offers a small business line of credit based on the value of your outstanding invoices. With funding available in 24 hours, no minimum credit score, and loan values of up to $100,000, it is the best overall alternative to a Square Capital Loan for borrowers who need short-term working capital with no credit check.